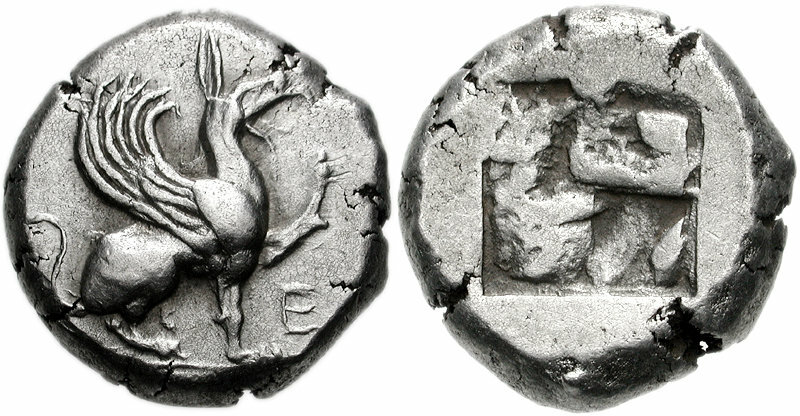 Notes: Balcer reverse die P33 is only recorded for his Group X, which has a heron on the obverse and no inscription. The obverse die used for this coin is from an unrecorded Group that has an E on the obverse. Although Balcer’s Group IV is recorded as having an E on the obverse, the sole obverse die for the group, A12, actually has an M-E (see the Paris specimen = TraitÉ I 500).